FTSE 100 (NYSE Liffe) (M6) Intraday: choppy. Our preference: short positions below 6165.00 with targets @ 6090.00 & 6050.00 in extension. Alternative scenario: above 6165.00 look for further upside with 6200.00 & 6230.00 as targets. Comment: as long as 6165.00 is resistance, look for choppy price action with a bearish bias. Dax (Eurex) (M6) Intraday: key resistance at 9790.00. 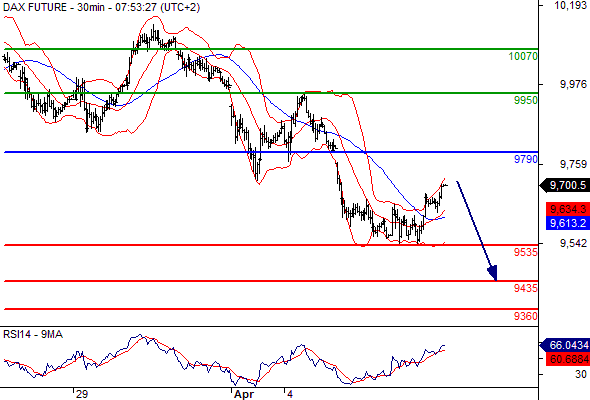 Our preference: short positions below 9790.00 with targets @ 9535.00 & 9435.00 in extension. 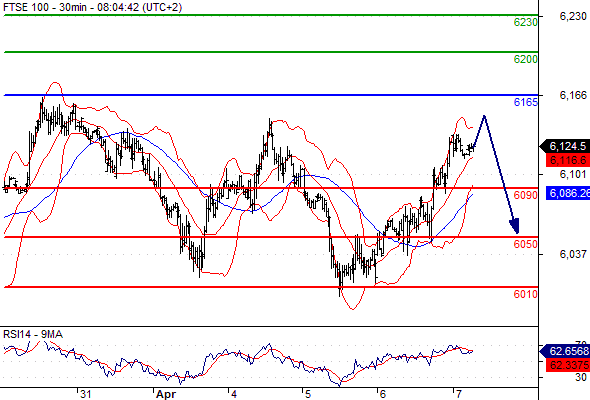 Alternative scenario: above 9790.00 look for further upside with 9950.00 & 10070.00 as targets. Comment: as long as 9790.00 is resistance, look for choppy price action with a bearish bias. Dow Jones (CME) (M6) Intraday: limited upside. 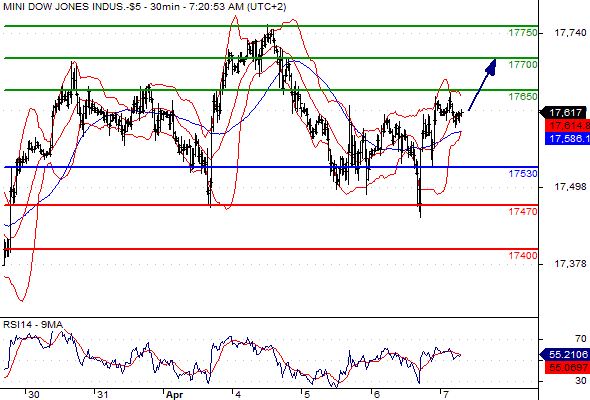 Our preference: long positions above 17530.00 with targets @ 17650.00 & 17700.00 in extension. Alternative scenario: below 17530.00 look for further downside with 17470.00 & 17400.00 as targets. Our preference: short positions below 1232.00 with targets @ 1218.50 & 1214.50 in extension. Alternative scenario: above 1232.00 look for further upside with 1238.50 & 1243.00 as targets. Comment: the upward potential is likely to be limited by the resistance at 1232.00.